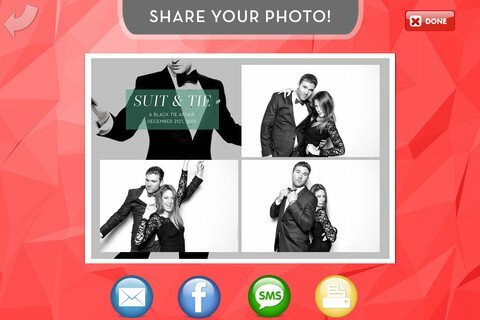 The last but not least installment of our new Social Photobooth’s features is the upgraded social sharing capabilities. With our new Social Photobooth, you can instantly share your awesome photos all across various social media platforms. With one click, our clients are able to post pictures on Facebook and Twitter, as well as the ability to email, GIFS and text message images from the night right away. Instead of our clients having to wait until their pictures print out, take the pictures home, scan the photos, and then finally posting to Facebook, for example, now, they can share the original image in perfect quality directly to their social media accounts. Let everyone know how much fun you’re having at your event with our photobooth while it’s virtually taking place. Instant gratification! Voila! Now, everyone can see first hand and right away just how much fun your event is. You will be the talk of the town and your guests will be wondering how you have such unique and special pictures thanks to our upgraded template feature and green screen capabilities! 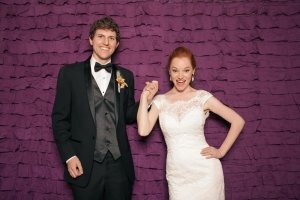 Give your guests the opportunity to share the fun their having instantly.Contact Triad Photobooth Rental today to get the party started!